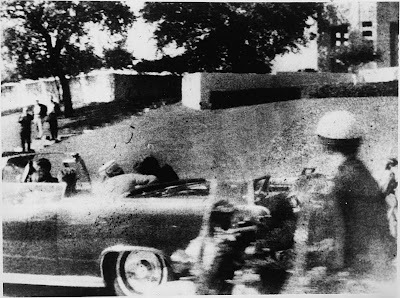 The assassination of John F. Kennedy, the thirty-fifth President of the United States, took place on Friday, November 22, 1963, in Dallas, Texas, at 12:30 p.m. Central Standard Time (18:30 UTC) in Dealey Plaza. Kennedy was fatally shot while riding with his wife Jacqueline in a Presidential motorcade. The ten-month investigation of the Warren Commission of 1963–1964, the United States House Select Committee on Assassinations (HSCA) of 1976–1979, and other government investigations concluded that the President was assassinated by Communist Lee Harvey Oswald who himself was murdered before he could stand trial. This conclusion was initially met with support among the American public, but polls conducted from 1966 show as many as 80% of the American public hold beliefs contrary to these findings. The assassination is still the subject of widespread debate and has spawned numerous conspiracy theories and alternative scenarios. In 1979, the House Select Committee on Assassinations (HSCA) found both the original FBI investigation and the Warren Commission Report to be seriously flawed. The HSCA also concluded that there were at least four shots fired and that it was probable that a conspiracy existed. Later studies, including one by the National Academy of Sciences, have called into question the accuracy of the evidence used by the HSCA to support its finding of four shots.